What better way to beat the heat than with a frosty beverage? 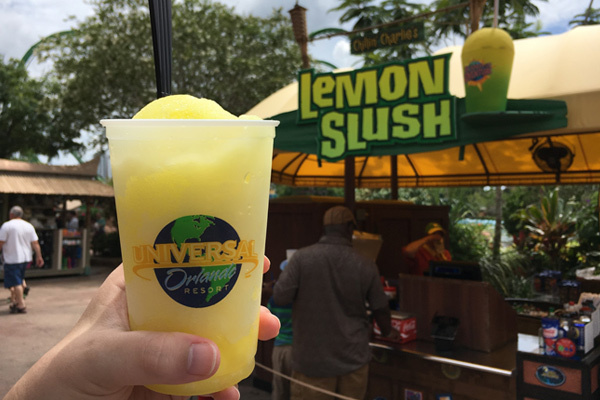 At the Universal Orlando theme parks, there are dozens of wonderfully fun frozen drink options for kids – and kids at heart. Here's our list of the top 5 frozen drinks that are perfect for a sunshiny day. 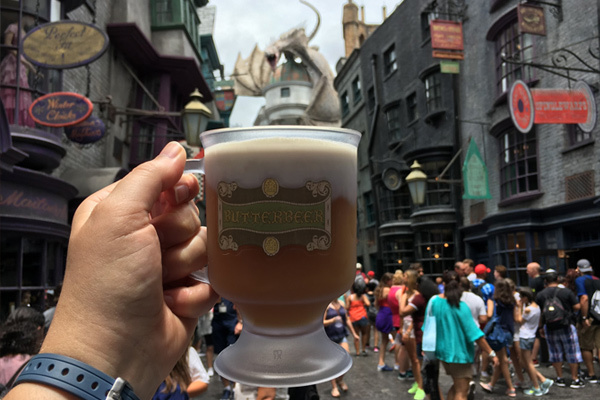 Butterbeer has quickly become one of the most popular food items in all of Orlando. 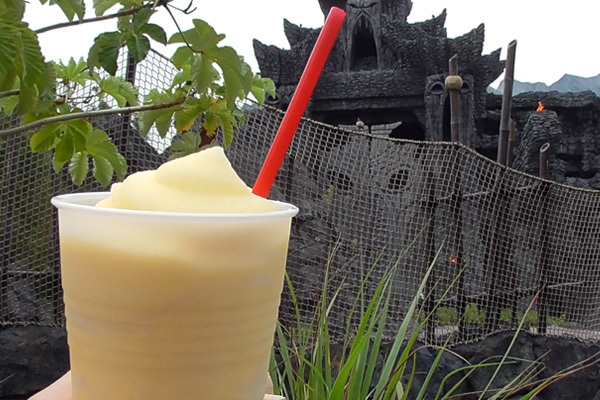 And, on a hot day, there's nothing better to cool off with than a Frozen Butterbeer. Available at both Hogsmeade in Universal's Islands of Adventure and Diagon Alley in Universal Studios Florida, Frozen Butterbeer is a refreshing concoction with a blend of butterscotch and caramel flavors, and just a hint of cream soda. This icy frozen version is thinker and richer than its regular counterpart. It’s actually quite filling, so share with a friend or have it as a snack. It's the perfect treat while exploring the Wizarding World in the Florida sunshine. Here's a tip: The collectible Butterbeer mug not only makes a wonderful souvenir, but you can get fountain drink refills in it all day at both parks for only $1.29 each. 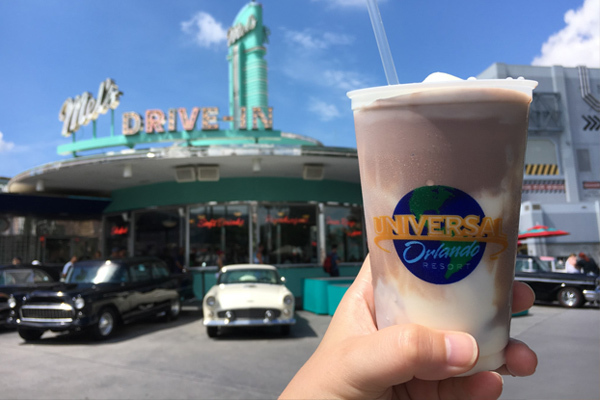 Take a retro trip back to the 1950s at Mel's Drive-In at Universal Studios Florida, a replica of the popular hangout from the film American Graffiti. Order a large frosty milkshake to go with your burger and fries. Better grab a spoon because this shake may be too thick for a straw. Enjoy your shake while sitting in a classic vinyl booth and listening to some golden oldies blasting from the jukebox. You can get vanilla, chocolate or a twist of both flavors, in case you can't decide. You can even spruce it up with some optional toppings like sprinkles, strawberries or Oreo crumbles. Mel's also serves an old fashioned root beer float. This inexpensive treat is made of hand-scooped shaved ice with delicious lemonade poured over. It's the perfect balance of sweet and tart and can be eaten with a spoon or the spoon-shaped straw it comes with. If you let it melt a little you can drink it through the straw, but it's most fun when eaten like shaved ice. Not only can you get this amazing slush from Chillin' Charlie's Lemon Slush stand in Islands of Adventure near the front of the lagoon, but also in several other locations throughout the parks as well. A strawberry version of the slush is available too, which is a bit sweeter. 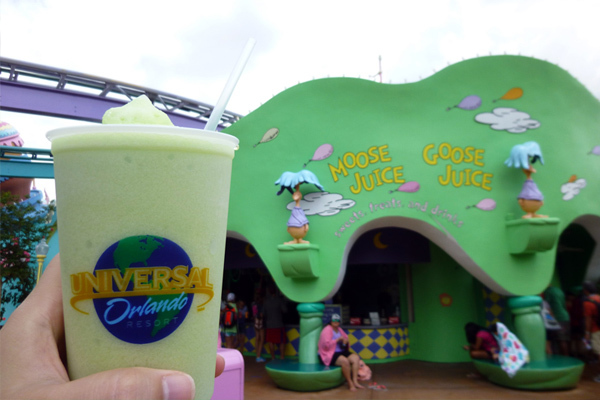 At the edge of Seuss Landing in Islands of Adventure is a delightful snack stand offering Moose Juice and Goose Juice. The Green Apple Goose Juice is by far the best flavor they have, but you can also get an Orange Moose Juice, or grape and watermelon freezes as well. You might be warned when ordering the green apple flavor that it can be really sour, and it is. But, anyone who likes sour-flavored candy will love this whimsical green drink. Your lips will, but it’s worth it. If you've ever wondered where King Kong gets his banana breath, now you know! Located just to the left of the entrance to Skull Island: Reign of Kong in Islands of Adventure you'll find The Mess Tent. Here you can order specialty hot dogs and other yummy snacks to help you prepare for your trek through the dense jungles and crumbling temple ruins of Skull Island. The Mess Tent is also home to the refreshing Banana Icee. Luckily the banana flavor is not too overpowering, but the cold temperature is just right for a hot day in the jungle. Just be sure Kong doesn't catch you with it, or you might have to share!